Observation Point in Zion National Park boasts a worthy view. Zion National Park boasts awesome scenery, like Yosemite Valley painted cherry red. But for climbers, sandstone doesn’t compare to Sierra Nevada granite, and the desert sun burns hot enough to melt rocks. That about summarizes my first-hand knowledge of southern Utah from a road trip years ago. I’d also read some Edward Abbey novels and Jon Krakauer’s book about the state’s stubborn polygamists. I knew there was more to it, though, and I always wanted to go back to hike Zion’s famed Narrows river canyon. This year I got my chance. Traveling with a group of friends including a native Utahn who served as tour guide, we drove south from Salt Lake City, hitting several outdoor stops along the way. First among these was Capitol Reef National Park, home of bighorn sheep, fruit orchards, interesting petroglyphs and naturally lots of picturesque sandstone formations. Settlers named it for the white domes which they thought resembled the Capitol Building in Washington DC, and for the 100-mile Waterpocket Fold ridge which impeded their travel like an ocean reef halts ships. Hiking and photographing the park’s 378 square miles could occupy a visitor for weeks, but those with just a few hours to spend could do a lot worse than tramp a mile to Hickman Bridge. This gentle and popular path gains about 400 feet from the trailhead to the rock formation, passing a few tough pines and junipers that can survive the arid environment. A natural arch, Hickman Bridge itself stretches 133 feet over a chasm formed by floodwater in centuries past. The striking geology is classic Utah. 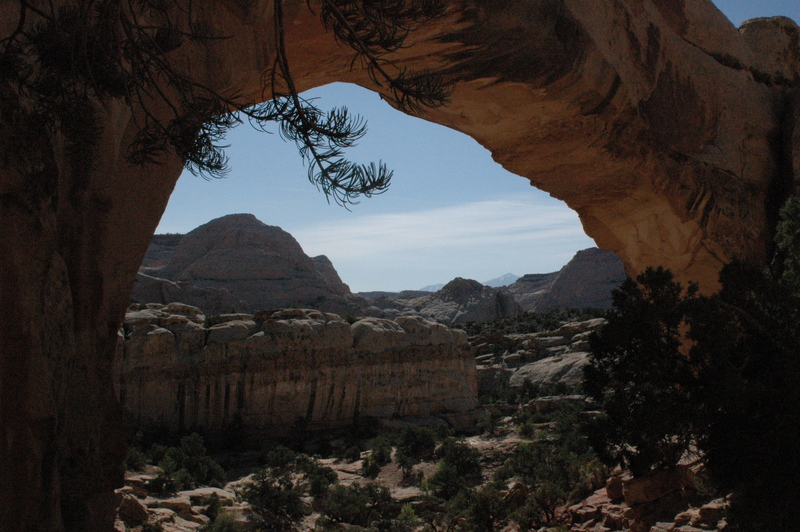 Next stop: Grand Staircase-Escalante National Monument. Angry about lost mining rights and no fans of the federal government, locals hung President Bill Clinton in effigy for preserving these 2,923 square miles (3 percent of Utah) from development in 1996. But outdoors lovers who visit will thank Slick Willie for taking a page from “The Monkey Wrench Gang,” Abbey’s classic story of renegades taking bold action for environmental protection. Day trips abound here and slot canyons, gulches and valleys provide unique experiences for hikers of all abilities. Those with a taste for greater adventure can try their hands at the popular southwestern pursuit of canyoneering, like I did. Descending Egypt 2, a long canyon hundreds of feet deep, required multiple rappels, a few climbing moves and several enjoyable hours. In some places, the rich red and curvy sandstone walls stand so close together that our group members had to remove backpacks and turn sideways to advance. 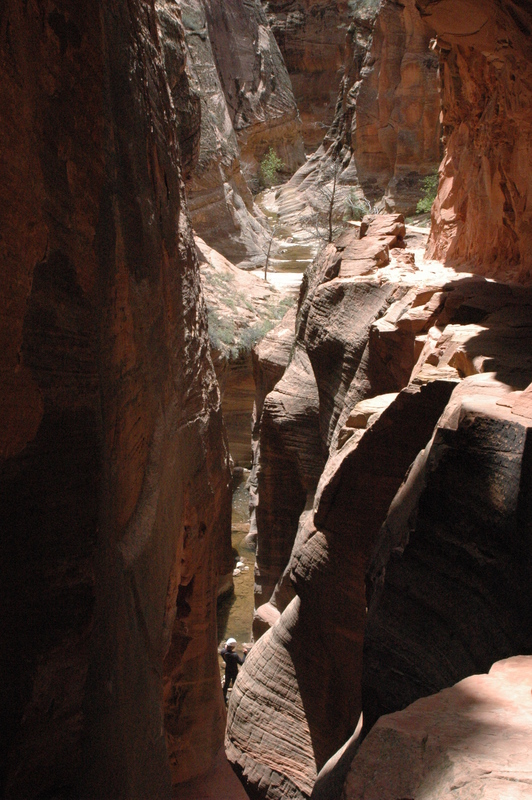 Other canyons feature apertures so small that visitors squeezing through them practically re-enact their own birth. Capably leading our group was Rick Green, owner and chief guide from Excursions of Escalante, who made sure everyone had fun, stayed safe and came back with great photos. I’m usually one to explore alone or with friends, but this time I was definitely glad I spent the day with a professional. There was no better way for a canyoneering rookie to get up close and personal with the unique terrain without any hassles or hazards. Plenty of uninitiated explorers go wrong in these disorienting canyons. Finally we reached our promised land of Zion. From my previous visit, I knew that Zion Canyon offers the most dramatic landscapes and thus attracts the most tourists. But as in most national parks, those willing to schlep even short distances usually break free from crowds. Angel’s Landing tops all the park’s day trips in popularity, and for good reason. An inviting five-mile route gaining 1,520 feet takes hikers to the top of an incredible peak and back. Many stop at a vista called Scout’s Lookout, skipping the exposed switchbacks and dizzying drop-offs that unnerve the acrophobic. But I was glad I braved the knife-like ridge to reach the final perch. “Do you think angels really land here?” asked one visitor as he admired the divine view. “Darn right!” laughed my friend Morry Angell, a hiker, climber and native Utahn. Angels or no, be careful here where several have fallen to their deaths, some under dubious circumstances. I asked numerous locals to recommend other worthy day hikes. They all gave the same answer: Observation Point. Good advice. The classic eight-mile outing gaining 2,150 feet also became my top suggestion for those willing and able to trek a little more. While the first mile of switchbacks feels pretty tough, think of President Franklin Roosevelt’s Civilian Conservation Corps and the young laborers who gave sweat and blood to build the route. Soon the path becomes more moderate and passes through Echo Canyon, an exquisite serpentine water-carved slot. After a few more easy miles through a forest of junipers and pines, hikers arrive at the title attraction. If Angel’s Landing reminds a Californian of the ever-popular Half Dome hike, then Observation Point conjures memories of Yosemite’s Clouds Rest. Both of these lesser-known summits offer superior views and smaller crowds than their more famous neighbors. The reward for reaching Observation Point is a breathtaking and jaw-dropping panorama of the entire Zion Canyon, including Angel’s Landing, the Great White Throne and the Three Patriarchs. Between the red rock and the green trees, it’s like Christmas all year long. A five-day visit flew by quickly and regrettably the Narrows trek eluded me again; we arrived during the high waters of spring when the park wisely closes the route. In addition, the coveted Subway hike and many Zion climbs still beckon me, not to mention Canyonlands National Park, Moab and many other attractions. Utah, like California, seems to be the kind of place where an outdoorsman’s “to do” list gets longer, not shorter, with every visit. Our group toasted the possibilities with “Polygamy Porter” (I’m not kidding) before we went our separate ways, eager to return again. Few if any know Grand Staircase-Escalante National Monument better than hiking guru Keith Watts, seasonally based in Boulder. If you’re looking for a friendly and enthusiastic guide, look no further. Prices start at $125. Visit www.earth-tours.com. 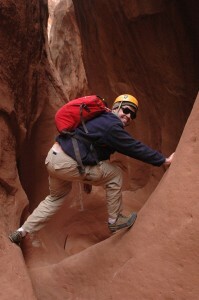 Excursions of Escalante offers a variety of canyoneering outings starting at $145 including lunch. Visit www.excursionsofescalante.com. Peak seasons are spring and fall. If you go in summer, prepare for a solar beat-down. Hiking the Narrows or Subway requires wilderness permits; visit https://zionpermits.nps.gov/. 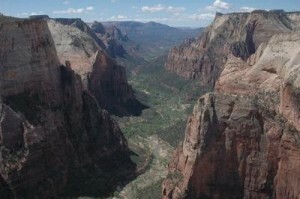 Visitors will also need transportation to trailheads, gear and some expertise; try zionadventures.com for all three. During my visit, two young men tried to descend the Virgin River canyon on a flimsy raft they built with logs and sticks. They drowned. Take the environment and danger seriously and don’t become a cautionary tale. Much of Zion’s climbing falls into the big wall category, but there are some less committing opportunities. Check out “Zion Climbing: Free and Clean,” in the Supertopo series; supertopo.com.